While South African golf courses don't boast the history and prestige of their overseas counterparts, they are extraordinarily beautiful and unique. Combining big game viewing with the romance of the fairway makes for a legendary rounds, immortalised in the memory. Many golf tour operators and safari operators focus on combining these two industries to craft a genuinely moving and surreal experience. It seems only fitting that the first course mentioned, Skukuza, is found in the country's best nature reserve, the Kruger National Park. At the country's elite course, Leopard Creek, also in national park territory, wildlife such as giraffe and wildebeest grace the landscape. The most scenic 18 holes, Cathedral Parks, wraps around lush and rugged African landscape. 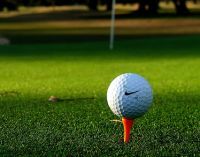 Apart from the allure of the wild, other highlights for those golfing in South Africa include the warm weather, relatively cheap green fees, and the technical merits of the courses. Cape Town, Johannesburg, and Durban all have great courses with ocean vistas and sweeping mountains. Cape Town can mix golf vacations with other tourist attractions, such as famous beaches, nightlife, and nearby wine estates. A Jack Nicklaus signature course is playable nearby at Pearl Valley, while in Johannesburg, it is certainly worth travelling to Sun City and teeing off at the Gary Player Golf Course, designed by its namesake. The spectacular Garden Route makes for perhaps the best golf trips in South Africa. Already blooming with lush natural wonders, it harbours some memorable courses such as Fancourt, Arabella, Pearl Valley and Erinvale.